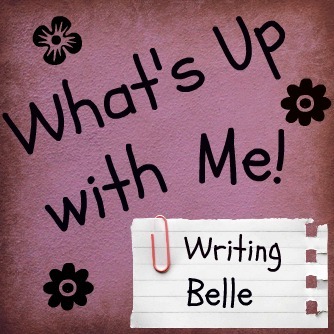 Writing Belle: What's Up With Me! We had planned to go the San Diego Zoo (my favorite place on planet earth besides Baskin Robbins and Disneyland), but it was pouring down rain and it looked like the weather canned our plans. So, instead, we went to the Natural History Museum because it was indoors. And famous. And also right next door. Oh, what a tragic mistake. The museum itself was five stories from basement to roof, but only one level was open as an exhibit - and even then, half of it was under construction. The walls were white, cold and sterile. The bottom level consisted of a bunch of pop-up tents for kids to run around and scream in. There were some imitation dinosaur bones here and there. And a giant beaver that was supposed to be 50 million years old or something. Whatever. It was lost on me what the message of the museum was after I walked onto the fourth level and saw that the only thing on the entire level was a bronze statue of a wood beetle sitting on a paper mat. I would like to say that the featured 3-D movie about dinosaurs awed and amazed me, but I can't. Because it didn't. In fact, my brother and I were so bored that we started poking each other every time the narrator mentioned the words, "evolved," "millions," and "over time." Even the gift shop was sad. Unless you're into buying overpriced muumuus, paper insects, or expensive play-dough. So...my trip to San Diego was fun. There was sun, food and lots of imported goodies from Guatemala and Mexico in Old Town. But please...for the love of science - and respect for dinosaurs everywhere - don't visit the Natural History Museum! All you'll get there is a bunch of dry information about how the geographic strata tells the age of the fossils, and how flying dinosaurs were smart enough to stop growing tails so they could walk around on their legs.